…will be resumed once the new term has settled down a bit. 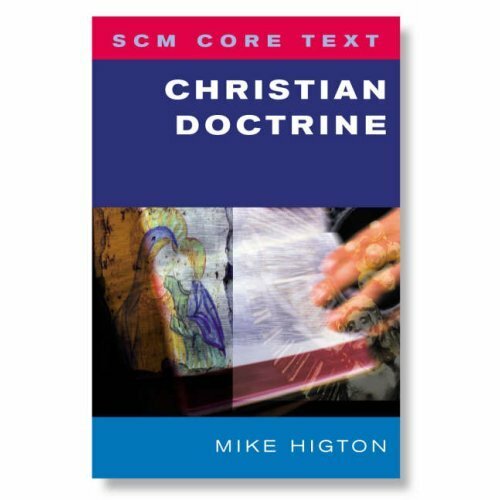 SCM have put up a pdf of the first chapter of my doctrine book. So if you have always wanted to know how Jane Austen, gossip, Iain Banks, the NW London Eruv, and Edwin Drood might make it into an introduction to Christian theology, now’s your chance. Claim 1: Chapter 4 is central to Dawkins’ argument. In Chapter 1, as I have argued, he specified his target: religion properly so called, which is the realm of supernaturalist belief in God, defined both negatively, as any discourse about God that is not really naturalist atheism in disguise, and positively, as belief in a supernatural intelligence. In Chapter 2, he gave that target a definition: the ‘God Hypothesis’ is that ‘there exists a superhuman, supernatural intelligence who deliberately designed and created the universe and everything in it, including us.’ Religion properly so called involves belief in a supernatural designer. Dawkins finishes Chapter 2 by saying, that ‘before proceeding with my main reason for actively disbelieving in God’s existence, I have a responsibility to dispose of the positive arguments for belief that have been offered through history.’ Chapter 3 then attempts this disposal, and with Chapter 4 Dawkins turns to his ‘main reason’ for disbelieving in God’s existence. This argument is, he says at the start (137) ‘the big one’. By the end of the chapter, Dawkins is saying, ‘If the argument of this chapter is accepted, the factual premise of religion – the God Hypothesis – is untenable. God almost certainly does not exist. This is the main conclusion of the book so far.’ Given what he has said in chapters 1 and 2, I think we can take this quote absolutely seriously: Dawkins thinks that the argument of ch.4 undoes the knot that holds all real religion together. The rest of the book can proceed on the assumption that this job has been done, and that other questions about religions origins and impact can now be treated without any lingering question about whether its claims about God are true. So, it seems fair to say that Chapter 4 is central to Dawkins’ overall argument – that this chapter is not simply an attempt to tackle some particular variants of belief in God, or some particular aspects of belief in God, but to go straight for the taproot of all real belief in God (all belief in God that is not really some form of naturalist atheism in disguise). If Dawkins’ argument here succeeds as thoroughly as he thinks it does, belief in God will be in real trouble. If his argument here fails, the whole book gets holed below the waterline. Claim 2: Dawkins’ argument is a successful attack on creationism. I have to admit that I found chapters 1 to 3 a very disappointing read: I disagreed with so much that Dawkins said, and had such strong doubts about the quality of the concepts and arguments he deployed, that persistent irritation overwhelmed any pleasure that the wit and clarity of Dawkins’ prose might otherwise have generated. Chapter 4, by contrast, is mostly a pleasure to read. Dawkins has returned from unfamiliar territory to home ground, and the difference in intellectual quality is astonishing: the assurance and incisiveness of his arguments is of a whole different order of magnitude. It helps, of course, that I agree with nearly everything in the chapter. Dawkins takes on creationists (including the ‘Intelligent Design’ crowd) and knocks them out of the ring: it is a real joy to watch. Dawkins’ summary of the argument, given in advance at the end of ch.3, gives the gist (‘A designer God cannot be used to explain organized complexity because any God capable of designing anything would have to be complex enough to demand the same kind of explanation in his own right’); chapter 4 simply fills in the detail. If chapter 4 were simply presented as an attack on creationism, I’d be able to applaud, and leave it at that. Claim 3: Dawkins’ argument misses its wider target. (1) A theologian may believe that God created the world. (2) A theologian may add to (1) the idea that this claim offers a good explanation for some otherwise inexplicable natural phenomena, such that the existence of those phenomena, and their inexplicability on other grounds, constitute good reasons for belief in God. (2a), where the explanatory argument is a secondary aspect of the theologian’s claims about God – such that dismissal of this explanatory argument would not do serious damage to the theologian’s belief in God or account of the nature of God, even if it damaged his or her attempts to commend that belief to others. For others who hold to (2), it will take form (2b), where this explanatory argument is taken as a primary aspect of the theologian’s claims about God, such that his or her account of God looks like it stands or falls by the success of this explanatory argument. In the strongest cases of (2b), God is presented as an explanatory hypothesis: the theologian believes in God because of the explanatory work that the God-claim does, and the content of the God concept is primarily dictated by the explanatory argument. Dawkins’ chapter 4 presents a strong argument against claims of form (2); I accept that happily. But he presents this as cutting to the heart of belief in God per se, so appears to be assuming (2b) as the standard form of such belief. Now, pretty much all Christian theology involves some version of claim (1). Quite a bit of Christian theology involves claims of some form like (2). Creationists are among those who present those latter claims in a form like (2b), and it is no surprise to find that they are the main (though not the only) antagonists cited in the chapter. Yet I think, as I have explained elsewhere, that (2b) is and can be shown to be a misrepresentation of Christian beliefs about God (and that includes being a misrepresentation of creationists’ own belief in God). Personally, I accept (1); I am unconvinced so far by any form of (2) in its weaker form (2a), and I reject (2b). I can happily accept Dawkins’ attack on explanatory arguments of form (2), without finding it relevant to my belief in (1): my belief in God, and a creator God at that. Claim 4: Dawkins’ argument can be partially salvaged – but the result is less immediately devastating to belief in God. It is possible, however – and there are some hints that he sees this – to detach Dawkins’ claims about God’s complexity from the wider argument about explanatory strategies of form (2), so as to make his argument an attack on claims of form (1) as well. The argument then would simply be that any claim that God exists is a claim that something of unprecedented complexity and power exists – and so a claim that something exists which is even less explicable than the natural world. That is, it is an argument about the inherent implausibility of theistic belief, rather than an argument about its explanatory power. Recognising this implausibility will demand from theologians a high level of justification for such belief – and (clearly, given Chapter 3) Dawkins thinks no such high level of justification exists. (3) I don’t think Dawkins does a good job of understanding the kinds of justification for belief in God that make sense to me. More importantly, I think that the account of God-and-the-world that includes this belief in a mysterious, non-explanatory God actually provides an intellectually powerful way of making sense of the world we live in. It claim, as I discussed in an earlier post, that it provides a coherent, resilient and habitable way of making sense – and that, as I said in another post that it is a way of making sense that is thought-enabling rather than brain-deadening. All this is to say that, if we try to salvage Dawkins’ central argument by de-linking it from explanation, there is a more interesting debate to be had – but it is not really one that, in the present book, Dawkins pursues. Claim 5: There’s also a problem with Dawkins’ account of the ‘Why is there something rather than nothing?’ question. One final aside. I still don’t think that Dawkins understands the nature of the ‘Why is there something rather than nothing?’ question. I don’t think that asking that question gives a proof of the existence of God, so I don’t think anything very much stands or falls by what I am about to say. Nevertheless, I think Aquinas was right inasmuch as this can only be understood as a metaphysical question, a question whose answer simply cannot be any natural phenomenon or process, and a question whose answer (if there is one) must be deeply, irrevocably mysterious (in order to be an answer). If you think ‘God’ means what Dawkins seems to think it means, then of course God doesn’t help you at all with this question – but that may not be our only option. Interim conclusion on The God Delusion, Ch.3. There’s plenty more in Dawkins’ ch.3, ‘Arguments for God’s Existence’ than the material on Aquinas and Anselm – the arguments from beauty, from personal experience, from Scripture, from admired religious scientists, Pascal’s wager, and Bayesian (probabilistic) arguments. I’m not going to work through any more of it in detail, however – I don’t have any candle to hold for the arguments Dawkins discusses, and (however engaging his own presentation) he doesn’t discuss interesting forms of any of them. I want to move on. A couple of comments before I do, though. What I have said with respect to Dawkins’ comments on Aquinas and Anselm remains true of the whole chapter. Whenever it is possible to discern what Dawkins takes these arguments to be about – what kind of ‘God’ they are seeking to prove or disprove – it looks like he is talking about one more contingent thing that there might be, and a thing pretty closely resembling a human intelligence, albeit much more powerful. Perhaps inevitably, in a popular book – but nevertheless disappointingly – Dawkins is not a good guide to real debates about God’s existence. First, he doesn’t try finding or tackling the strongest versions of any of the arguments he looks at – he presents the kinds of arguments you might find on an average internet discussion board, and doesn’t find it difficult to dismiss them. Second, though, he doesn’t latch on to the fact that the whole project of proving God’s existence in this kind of way is controversial within (at least) Christianity. I’ve talked in an earlier post about a rather different approach, for instance, one which is not particularly eccentric – and which does not rely at all on the kinds of Dawkins is discussing. On both these grounds, the chapter simply isn’t about anything that I (as one kind of fairly traditional Christian believer in God) hold dear.